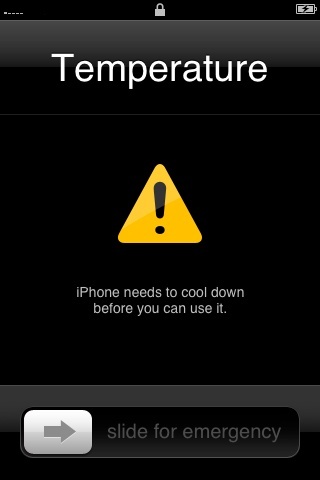 This message appears when the operating temperature has become too hot. This is a safety mechanism that protects the components of your iPhone 3G. If this message appears, you should turn iPhone 3G off, move it to a cooler environment, and allow it to cool before resuming use. via Keeping iPhone 3G within acceptable operating temperatures. If you see this message, it’s probably time to splurge on an air-conditioner. …or a move to Antartica.